This week a House Judiciary Committee began overseeing details of a US Federal Court case between tech company Apple and the FBI. On February 16th, Apple CEO Tim Cook publicly rejected a court order to decrypt an iPhone said to be connected to the San Bernardino mass-shooting case from December of 2015. The House Judiciary Committee listened to the controversial case between tech titan Apple and the FBI a day after Magistrate Judge James Orenstein of New York, struck down a federal court order pressuring Apple to help access encrypted data in a separate case involving illegal drug trafficking. The landmark decision made by Judge Orenstein stated that the All Writs Act of 1789 (also used as the FBI’s main argument in the Apple/San Bernardino case) “does not permit a court to order companies to pull encrypted data off a customer’s phone or tablet, “ according to a recent article from The Washington Post. The new ruling in the FBI drug case will likely have a heavy impact on the eventual ruling in the San Bernardino/Apple court order, as it directly questions the heart of the government’s argument to gain easier access to encrypted consumer data. It’s also interesting to note, that it was the FBI who put themselves in this position regarding the San Bernardino phone as they reportedly ordered the password to be reset via iCloud shortly after the apparent mass shooting. ‘INVENTIONS OF REALITY?’ – Is this latest “privacy crisis” a manufactured drama or a legitimate battle for those in the tech industry? Adding to that, we’ve mentioned a number of times here at 21WIRE, that none of the eyewitness testimony mentioned seeing a female shooter at the scene of the Inland Regional Center in the aftermath of the San Bernardino shooting. In our previous article detailing the ongoing encryption saga between Apple and the FBI, we stated that there are no guarantees in the security world, especially if a digital master-key were to be created, as this would potentially make it easier for invaders (either the government, or various hackers) mining for data moving forward into the future. Additionally, there are many who believe weaker encryption may pose an even bigger security risk globally. In many ways, it appears as though federal agencies are seemingly searching for the right crisis to push public opinion in favor of the state when it comes to security. Interestingly, in October of 2014, FBI Director James B. Comey, explained while speaking at the Brookings Institution he was “focused on trying to get the law changed” so that tech companies would have to comply with law enforcement to unlock data on various devices. The Guardian refers to this as a “two-pronged approach” on the public’s senses – as one tone from the FBI comes across as caring and the other seems more focused on the greater, nationalistic implications of encryption. Think good cop/bad cop hovering over you in an interrogation room and you’d be getting very warm. This is the kind of psychological drama that has prompted some in media to think that the law enforcement agency has been exploiting the public in the wake of tragedy, in order to increase security measures. This is absolutely something to watch. So, what are we to make of the FBI’s claims of going dark in the digital age? It has long since been claimed that intelligence agencies fear going dark in the age of high-tech gadgetry. This idea is vastly overblown and not rooted in reality, especially when you consider the many revelations concerning NSA spying, collection of bulk metadata and other tracking programs such as the IMSI catcher, otherwise known as Stingray (Stingray acts as cell tower locking onto all devices in a certain area) intercepts phone calls, texts, as well as your location. The very notion that law enforcement will somehow be condemned eternally to outdated methods to catch criminals in the future – is patently absurd. Furthermore, the concept and presentation of the FBI’s “going dark” scenario is nothing more than a talking point used to increase a police state apparatus within the United States. On February 1st, a group of experts published report regarding the current status of law enforcement and their ability to keep up with the demands of crime solving in the world today. The lengthy report entitled “Don’t Panic” was compiled by The Berkman Center for Internet & Society at Harvard University. The U.S. intelligence and law enforcement communities view this trend with varying degrees of alarm, alleging that their interception capabilities are “going dark.” As they describe it, companies are increasingly adopting technological architectures that inhibit the government’s ability to obtain access to communications, even in circumstances that satisfy the Fourth Amendment’s warrant requirements. Encryption is the hallmark of these architectures. Government officials are concerned because, without access to communications, they fear they may not be able to prevent terrorist attacks and investigate and prosecute criminal activity. Their solution is to force companies to maintain access to user communications and data, and provide that access to law enforcement on demand, pursuant to the applicable legal process. However, the private sector has resisted. Critics fear that architectures geared to guarantee such access would compromise the security and privacy of users around the world, while also hurting the economic viability of U.S. companies. They also dispute the degree to which the proposed solutions would truly prevent terrorists and criminals from communicating in mediums resistant to surveillance. While the report states that encryption is a difficult issue for law enforcement, all sorts of digital data is unencrypted and therefore can be accessed via a search warrant if there is cause – not to mention the spying capabilities of a plethora of smart devices also available for review. Will the FBI continue to develop “encryption workarounds” in the event that they lose their battle with Apple over the San Bernardino case? Regardless of how you shape the court battle between Apple and the FBI, this is about the government wanting a more direct route into personal devices moving ahead. For Apple, this is a very important issue as a dip in consumer confidence, could be a crushing blow to the tech company’s overall brand. It’s important to remember anomaly ridden events such as the San Bernardino shooting and the suspicious events in Garland, Texas, of last year, in addition to other inconvenient truths concerning the government’s role in manufacturing its own terror plots – which have ironically prompted calls for greater national security, while continuing to appropriate large funds to federal agencies. 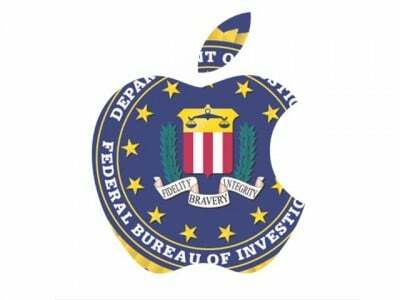 You have to wonder, has the FBI’s case against Apple fallen apart?